Do you want to learn how to earn affiliate income, learn marketing secrets and more? Find out how to launch your own successful revenue generating business by focusing on reselling products and services for organizations with active affiliate programs. Many people who operate profitable internet based businesses actually earn a large portion of incomes through affiliate marketing. Companies with products to sell realize that they can't possibly market their wares to every possible customer. Instead of spending a fortune on advertising campaigns that may or may not work, they choose to develop affiliate programs. These programs pay a percentage of each sale, or sometimes lead, generated by a third party. If you own a website, for example, and you participate in a company's affiliate program, you can put a link to that organization's products or services on your site. Based on the terms of the agreement you signed, you'll earn revenue for each person who clicks through the link on your website and ends up doing business with the organization. For the company with products and services to sell, affiliate marketing can be cost effective. They pay commissions only on closed business, which means they aren't wasting money advertising to people who might not be interested in their products or services. They also get quite a bit of exposure, because their links appear on a number of different websites. Unless the exposure results in a sale, it doesn't cost anything. Commission Junction isn't the only place to find affiliate programs. Amazon, for example, has the Amazon Associates program, which allows participants to earn a commission from referring customers. The PayLoadz affiliate program allows webmasters to earn commission by selling eBook downloads. You can even earn money by placing affiliate links for Google on your website. If you're interested in learning how to make money via affiliate marketing, the first thing you're likely to need is a website. You'll need to think about the types of affiliate programs that appeal to you, and develop a website that contains content appropriate for the products you'd like to sell. No matter what type of website you have, it can be appropriate to include affiliate links for general products and services such as Amazon and eBay. 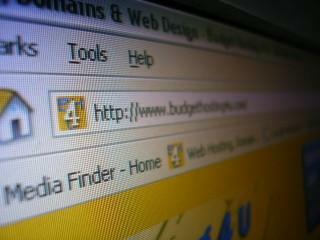 If you have a small business website, you could also add affiliate links for a variety of business oriented programs. If you're more interested in heath and wellness, create a website that focuses on these types of topics. Then, insert affiliate links for products that are congruent with the content on your site. You can place your affiliate advertisements as banners on your website, or as text links embedded in the content on your website. No matter what topic appeals to you the most, it's likely that you'll be able to find appropriate affiliate marketing opportunities. In order to generate revenue from the affiliate programs you publish on your website, you'll need to drive traffic to the site. This involves marketing the website. There are various techniques available to help people find your site, ranging from search engine optimization to social networking, to purchasing pay per click advertisements. The more you learn about internet marketing, the better your affiliate marketing program is likely to perform. The more targeted visitors your site attracts, the more likely it is that you'll generate sales to help earn an attractive affiliate income. Learn marketing secrets and apply them, and before you know it, you'll be earning generous commissions through your online affiliate efforts.